first person, war scenes in various cities. is a shooting game in which you can play multiplayer on LAN. 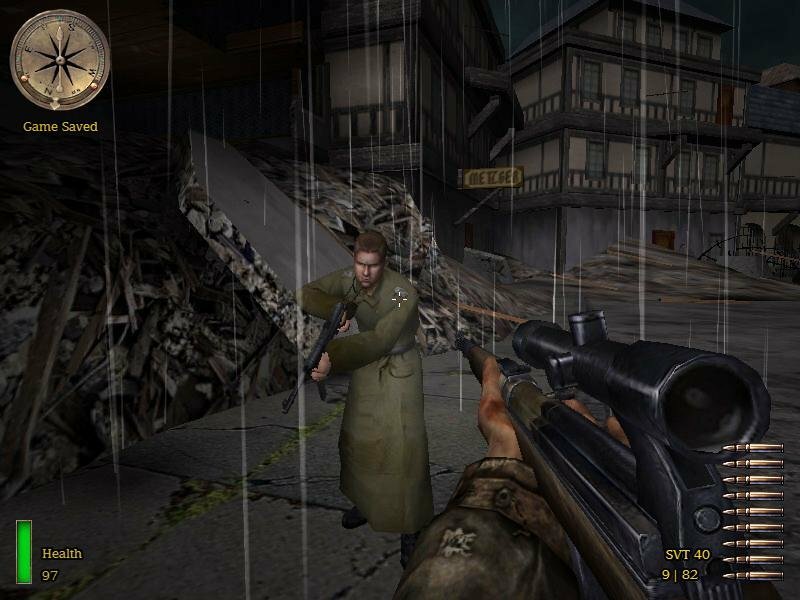 version ... Medal of Honor: Allied Assault is no Return to Castle Wolfenstein.